Following yesterday’s post where we saw a candlelit Mary Magdalene, today’s advent offering focuses on another New Testament Mary – Leonardo da Vinci’s Madonna of the Yarnwinder (also known as Madonna of the Spindles, c.1501). As as a keen knitter, the title of this painting fascinates me. 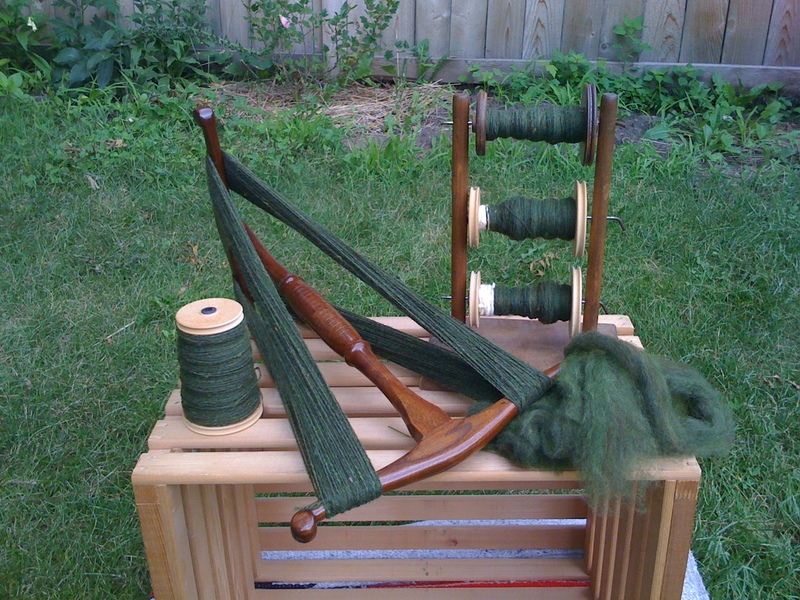 The yarn winder (also known as a niddy noddy to modern yarn crafters) is used to gather spun yarn into tidy skeins before it is knit or woven. 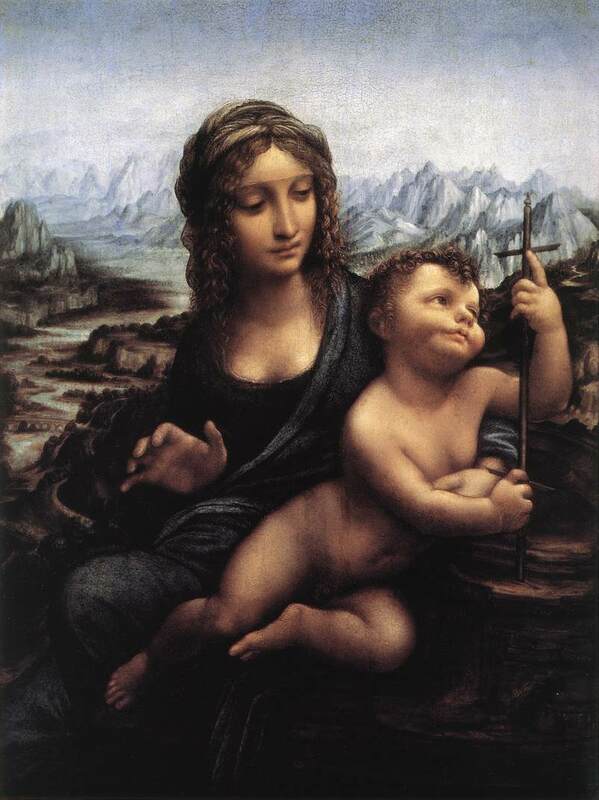 Da Vinci’s painting shows the infant Jesus holding tightly onto the yarn winder and gazing at its cross-like shape with both fascination and some tenderness. He has wriggled away from his mother’s grasp, giving his full attention to the object he holds, suggesting perhaps his awareness and acceptance, even at this young age, of the inevitable events that await him later in life. Mary, meanwhile, raises her right hand in a gesture that conveys some alarm – does she want to take this cruciform object away from her infant son, sparing him the horror of its significance? Yet, her face is calm and also a little sad; looking gently at the boy, perhaps she, like him, realises that the future is destined and that her son’s story – his beginning and his end – has already been spun, wound, and woven into human history. Following on from Stephen’s advent offering yesterday, I thought I would continue the annunciation theme with a painting by American artist Henry Ossawa Tanner. While the angelic annunciation to Mary in Luke 1.26-38 is a hugely popular subject in art through the centuries, Tanner’s depiction stands out in my mind for a number of reasons. First, rather than the standard figure of the angel we are used to seeing in annunciation paintings (typically equipped with wings and flowing robes as we saw last Monday), the heavenly messenger is instead represented by a stunning, tear-shaped lozenge of light that hovers to the left of the picture, casting an amber glow over the rest of the scene. Its presence is awe-inspiring, but also a little disquieting, as we are left unsure of what it actually is. Equally disquieting is the figure of Mary, who sits, seemingly mesmerised by this strange visitor. Hands clasped and shoulders hunched, she looks pensive and afraid, her oversized robe accentuating how young and vulnerable she really is – we cannot help but feel anxious on her behalf. 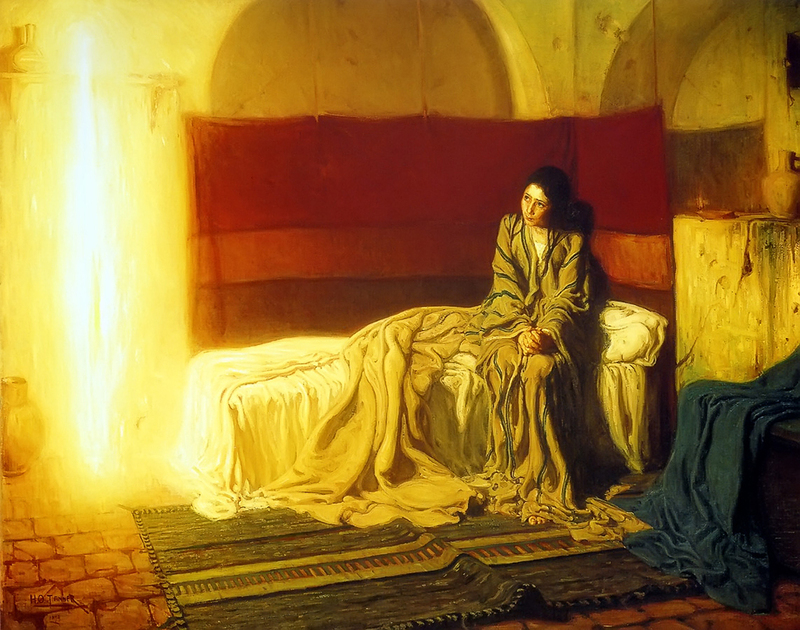 Similarly, the small details of the rumpled bedclothes and crinkled rug accentuate the very human location of this biblical tradition and invite us to see the events through Mary’s eyes – the magnitude and trauma of this uninvited visitation and the massive task being imposed upon her by the heavenly messenger. What is she thinking right at this moment? How does she feel about what lies ahead of her? The annunciation scene is usually spoken of and represented as the most sacred of moments, yet perhaps Tanner shows it to us here as something far more complex.